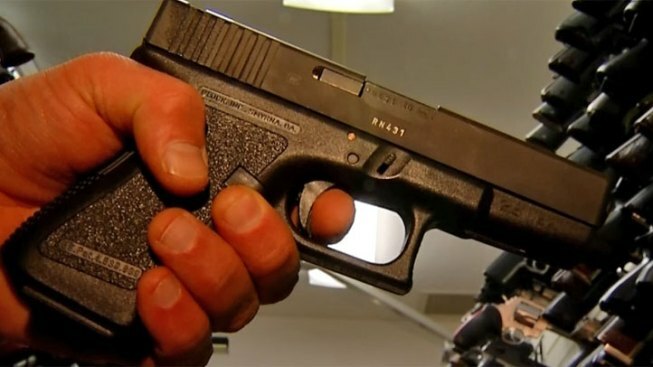 3 Applications for Concealed Carry on First Day in D.C. The D.C. Council changed the concealed handgun carry law last month after a judge ruled that the District's previous ban on guns outside the home was unconstitutional. Residents and visitors who want to carry a concealed handgun will have to show a specific reason that they need one. People who have received death threats or have been the victims of domestic violence are among those who could be granted permits. Those seeking the concealed-carry permit would also have to complete a more extensive safety course than what's required for gun owners. Non-residents would also be able to get licenses if they meet the same standards. The new law will not allow for the open carry of handguns and restricts where and when permit holders will be allowed to carry handguns with limits near government buildings, presidential motorcades, as well as near foreign dignitaries. The immediate impact on the prosecution of people charged with carrying a pistol without a license remains unclear. After a federal judge struck down the district's complete ban on issuing carry permits, the U.S. attorney stopped prosecuting those charged with carrying a handgun without a permit. Gun rights advocates say the new law is too restrictive and they plan to take D.C. back to court.